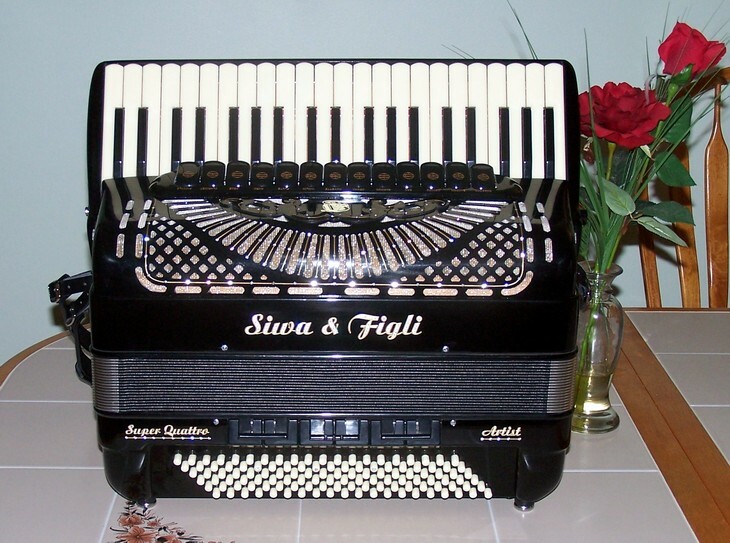 The collaboration between the Accordion Gallery and Siwa & Figli has been very successful so far and has proven rewarding to us as well as to many of our new friends. 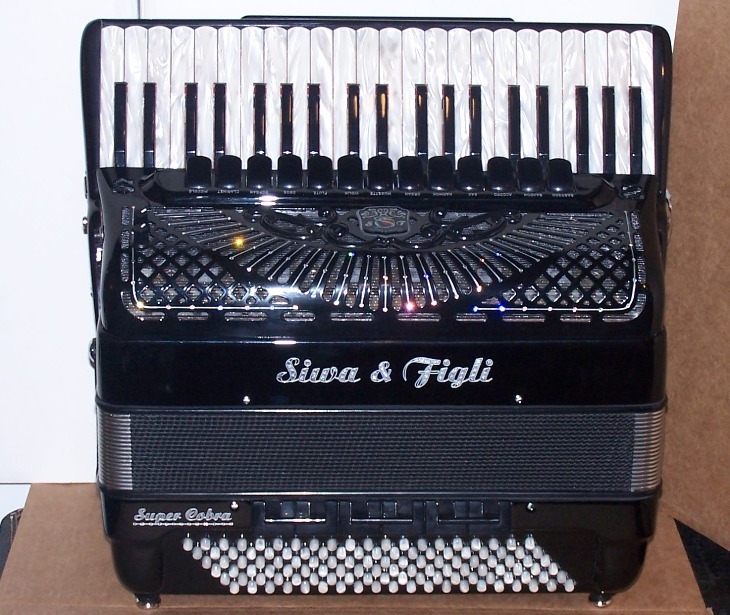 The Siwa Community is growing and we are happy to receive feedback and ideas from our customers. 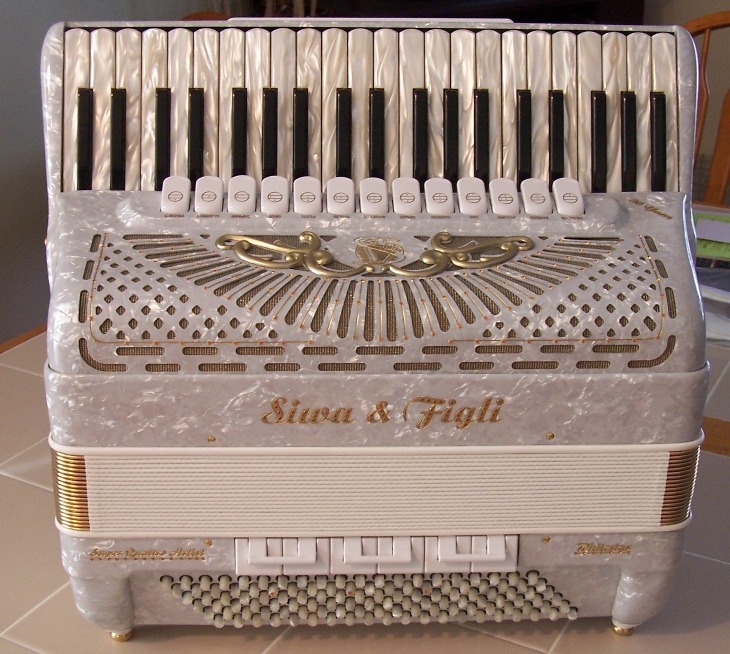 We pride ourselves in offering high quality instruments, hand crafted in the classic Italian tradition from the 50s and 60s. 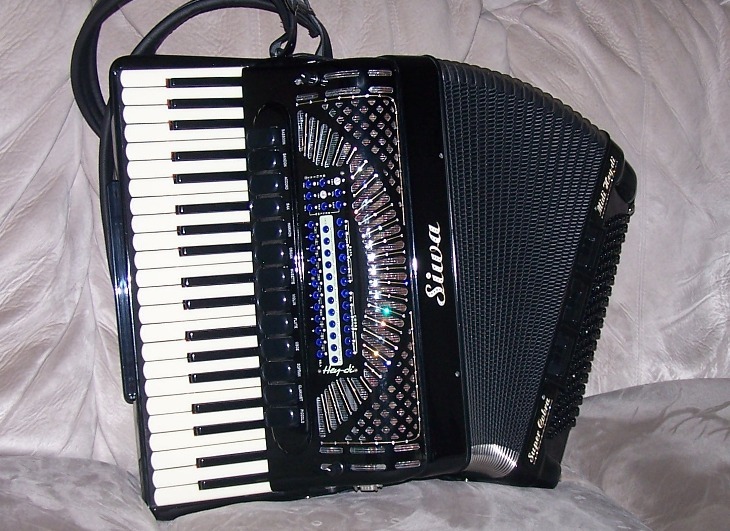 In the Accordion World there is no such thing like "one size fits all". 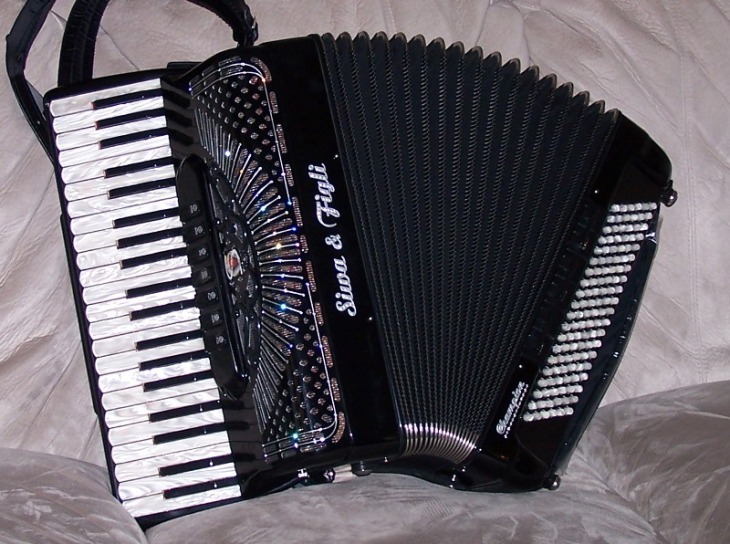 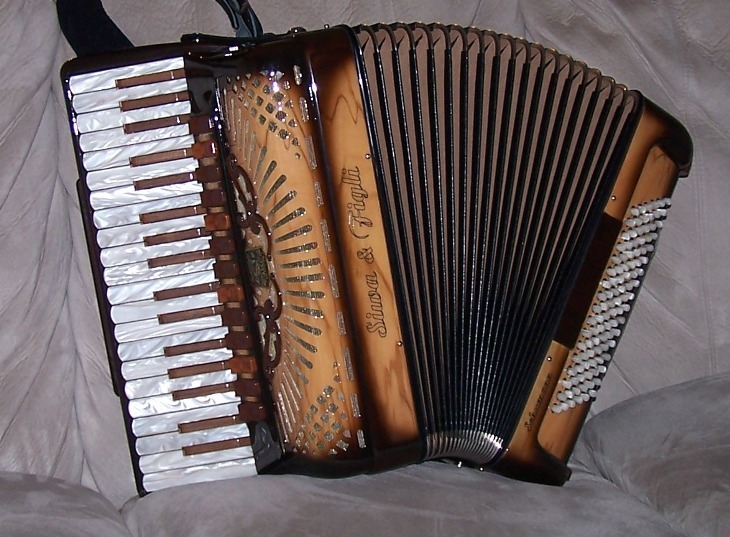 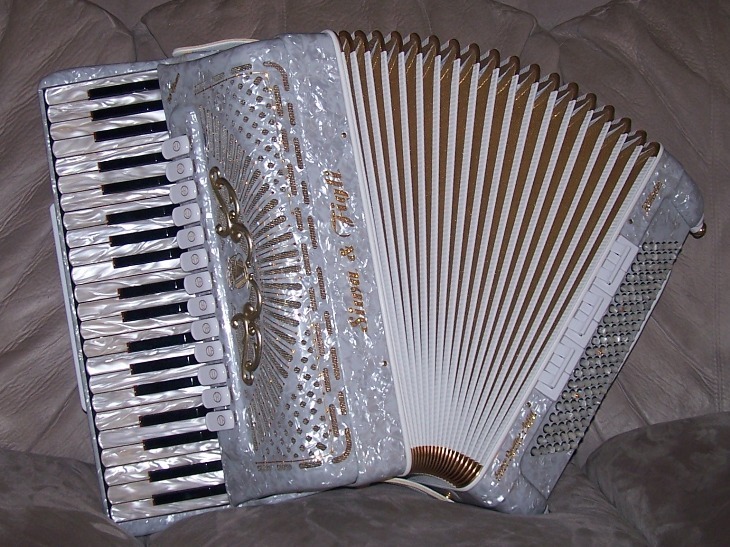 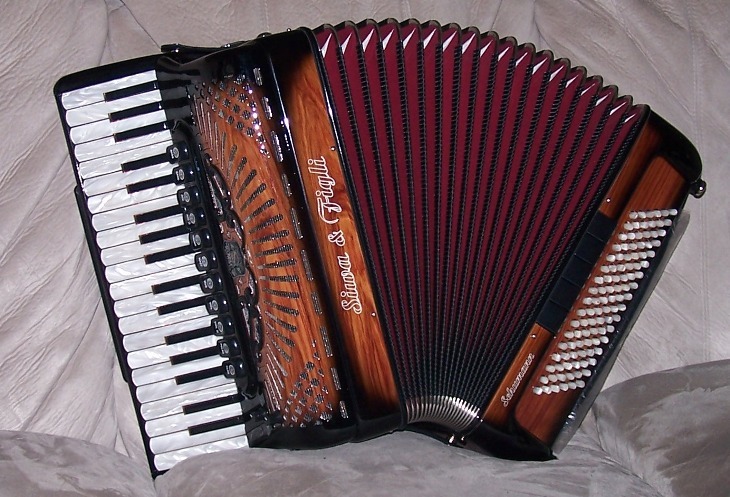 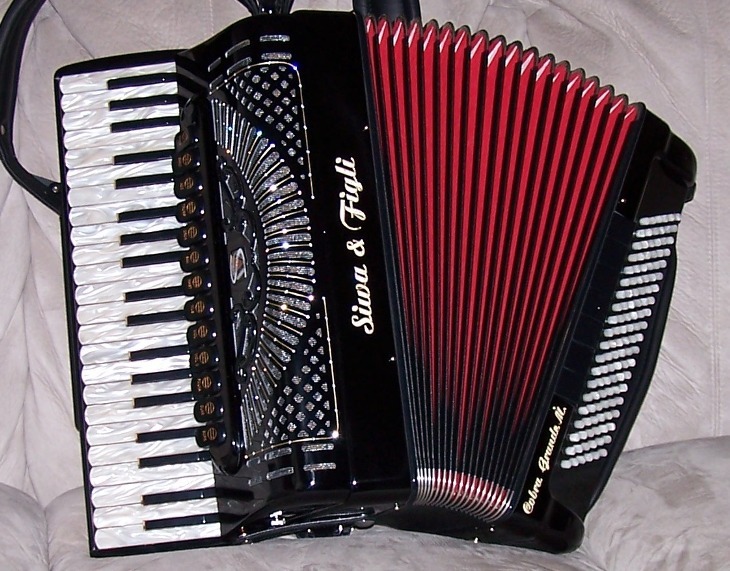 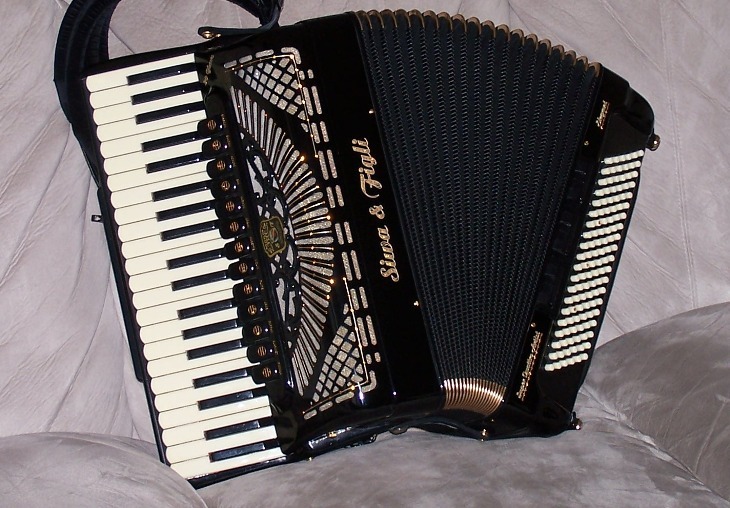 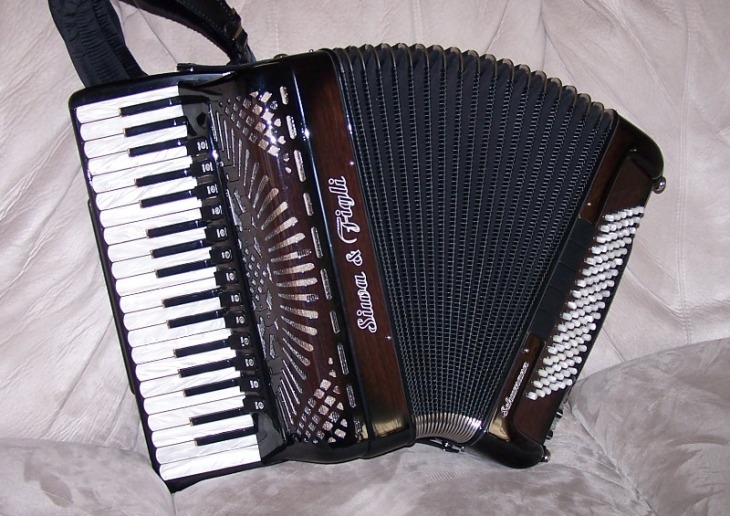 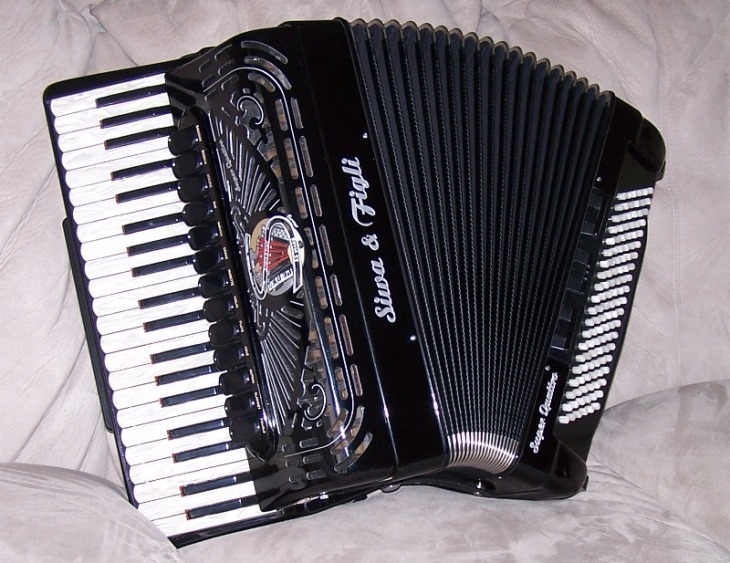 Different people have their own idea of the "dream accordion" based on reed configuration, tuning, size, appearance etc. 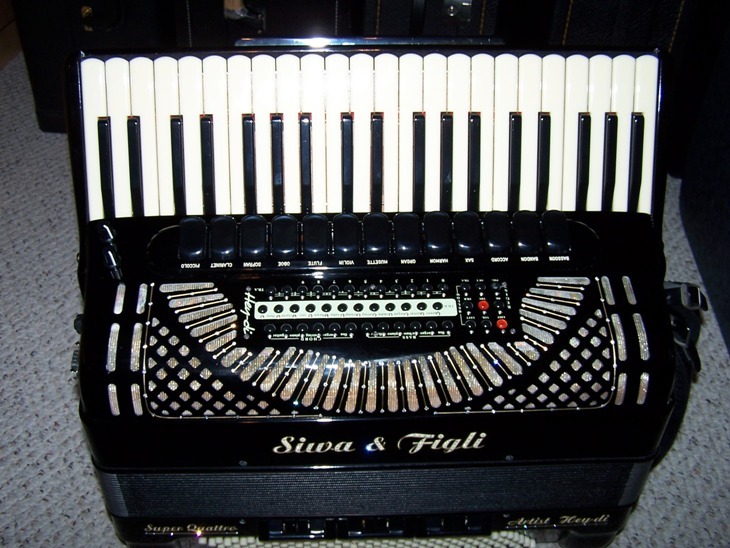 We are listening to the ideas of our customers and use our own experience and expertise to help every Siwa accordion player achieve the best musical expression of emotions and technique made possible by a custom made and acoustically and mechanically perfect instrument. 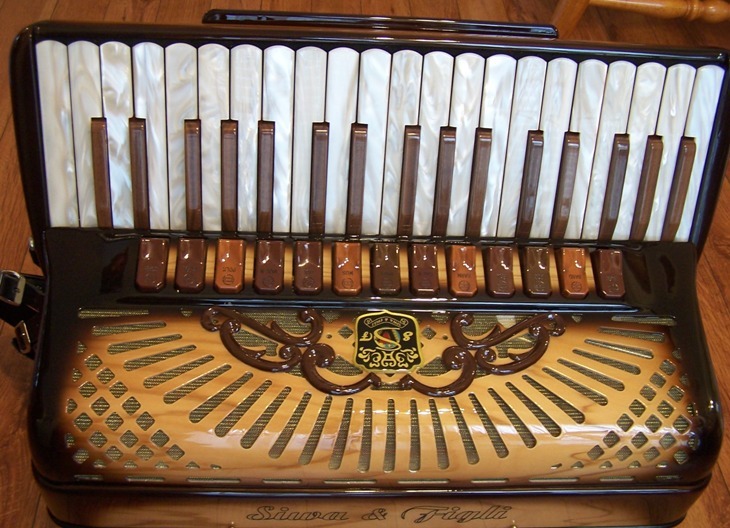 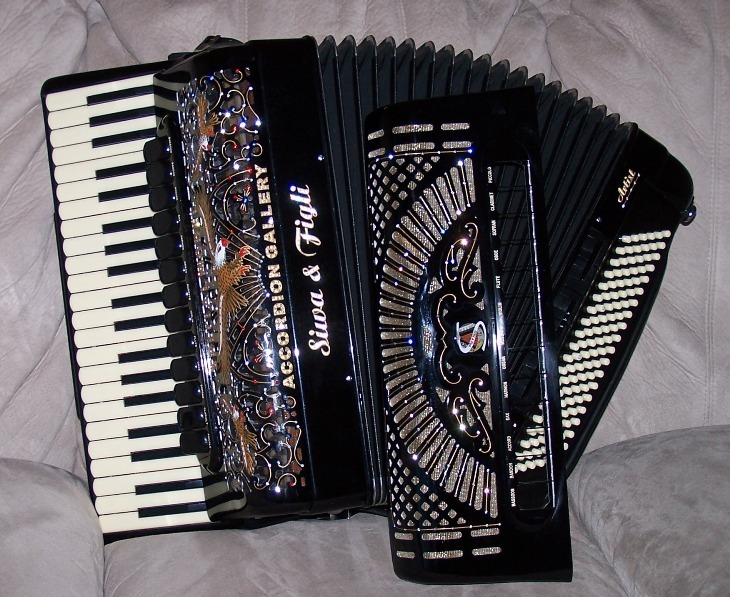 Many of the most popular models are available in stock at the Accordion Gallery and can be purchased immediately. 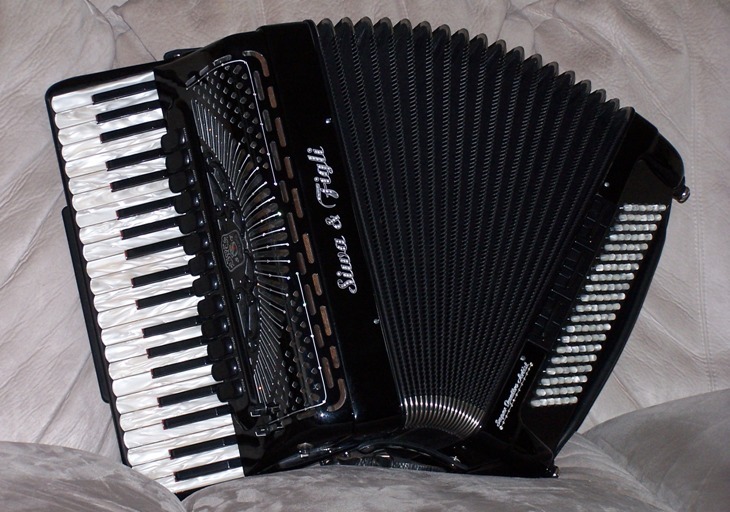 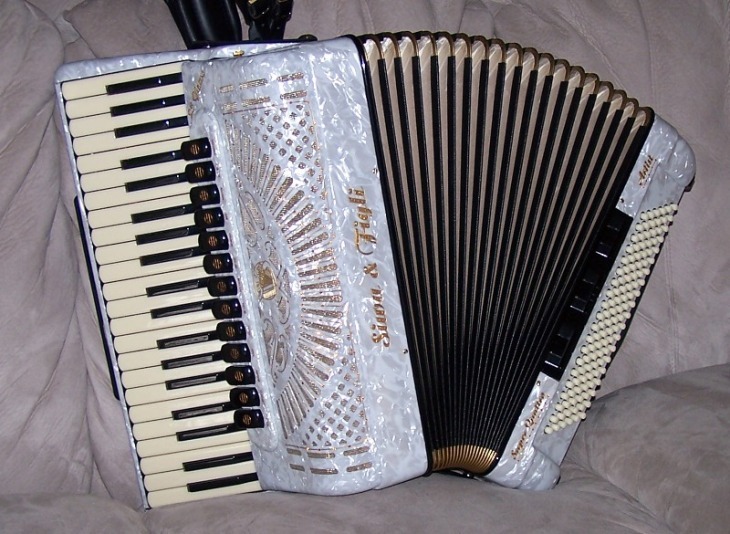 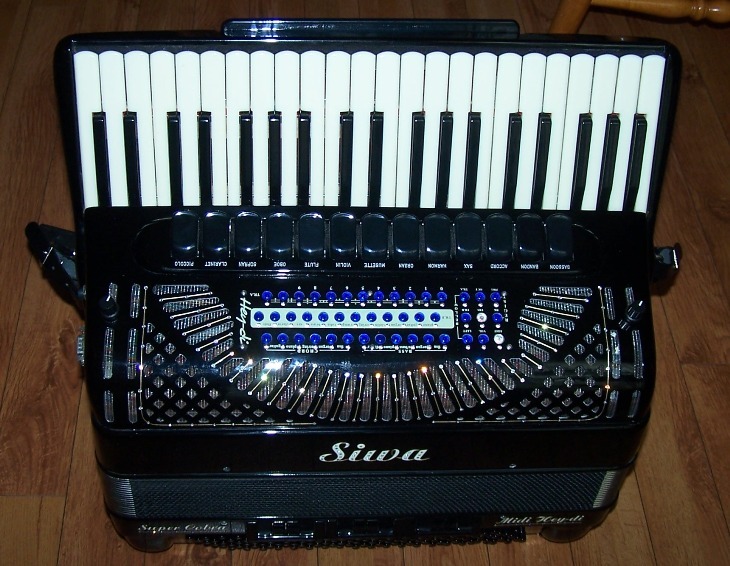 You can order any Siwa accordion from the company catalog or work with us to design your own special instrument. 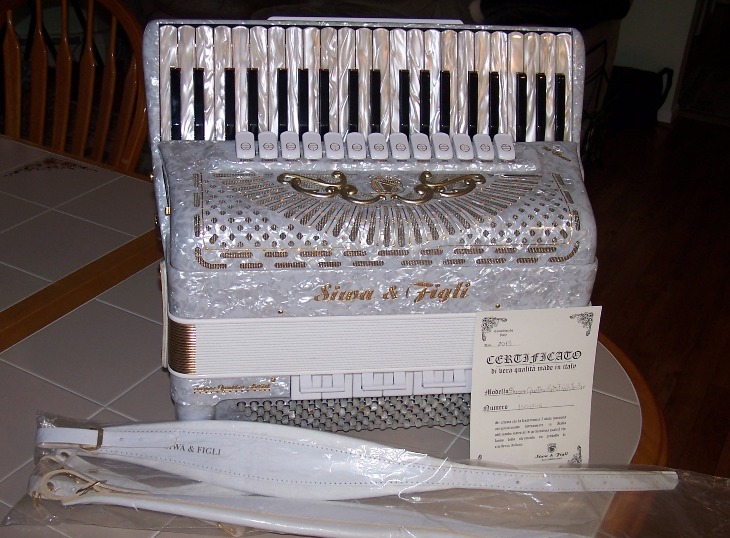 A classic beauty available with special hand made Binci reeds or proprietary Siwa hand made reeds. 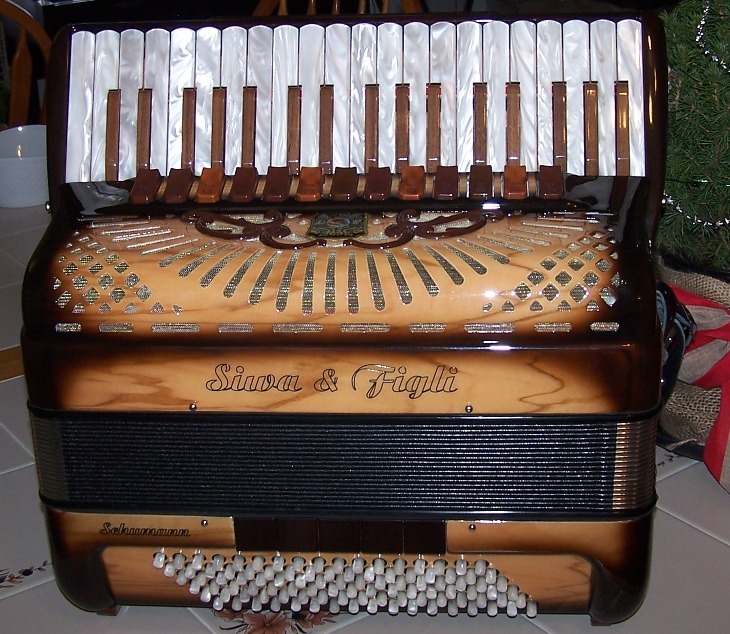 Whether you prefer the piercing Dallape sound, or the powerful Guerrini/Giulietti tone, or the smooth heart warming Excelsior/Bell sweet ringing effect we have the solution for you. 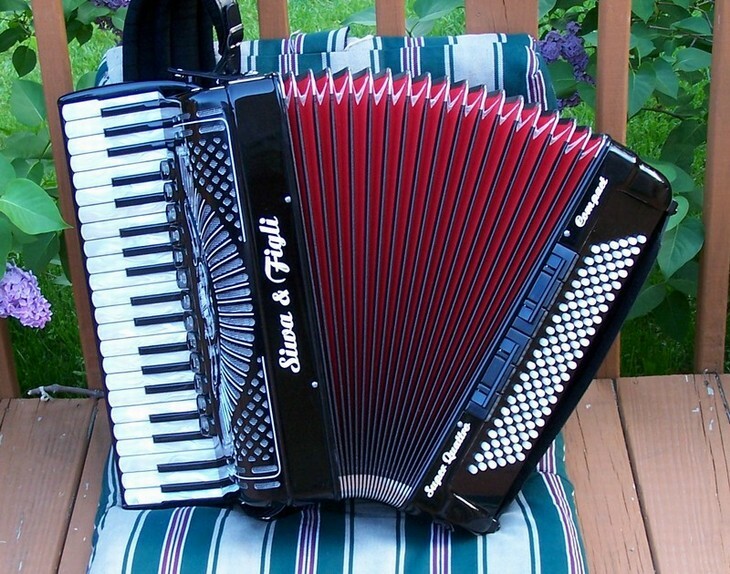 You doubt it? 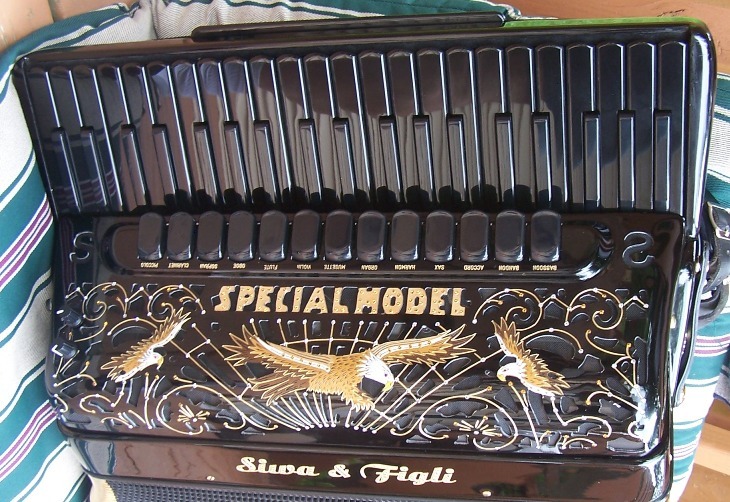 Well, be our guest and experience the difference. 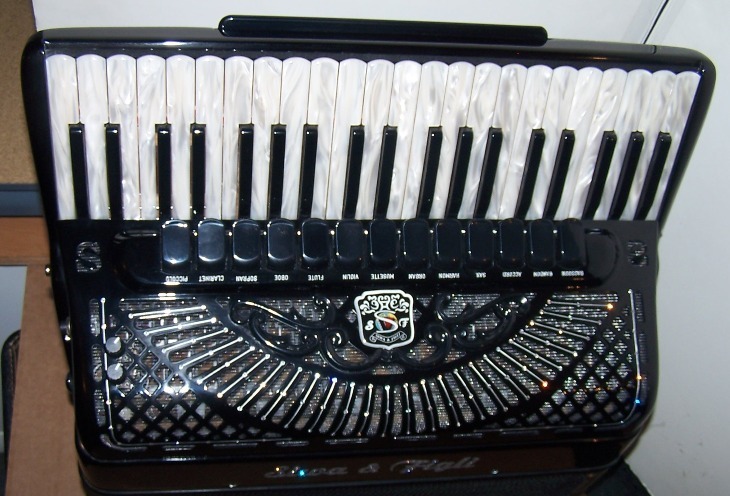 The best hand made reeds available - you will not believe this is a new accordion. 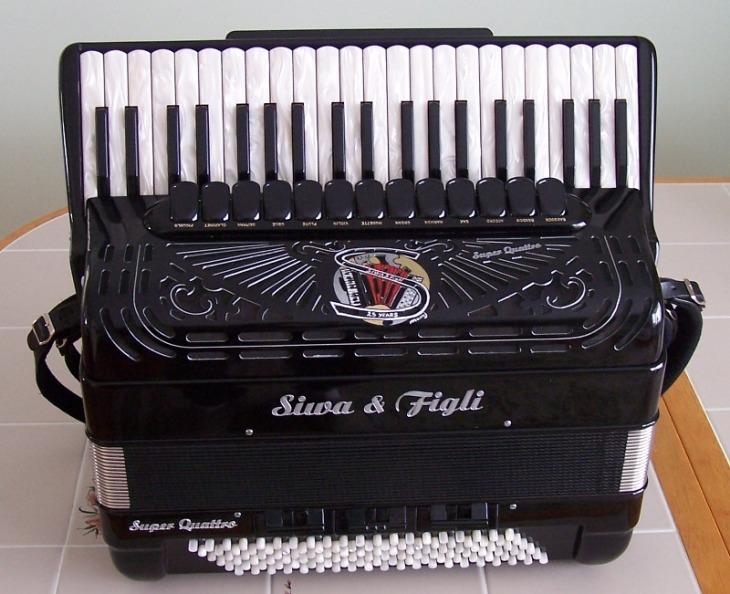 You don't have to "fight" it to get the sound out. 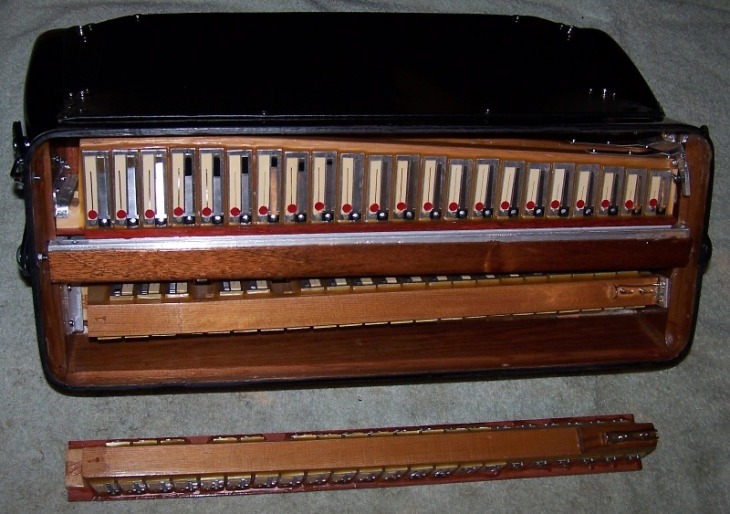 Each reed responds instantaneously in each reed combination with uniform intensity on opening and closing of the bellows. 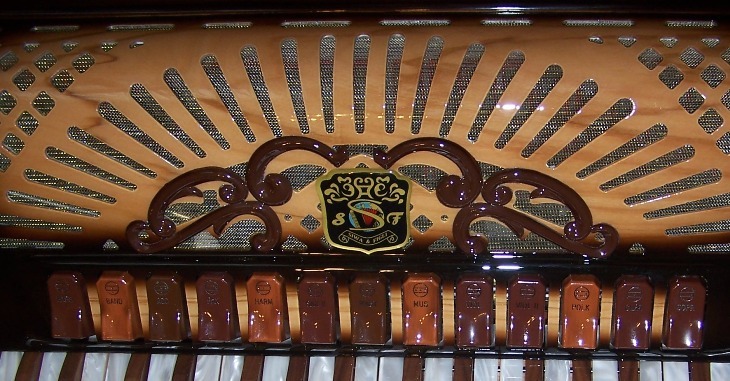 The sound is clear and rich. 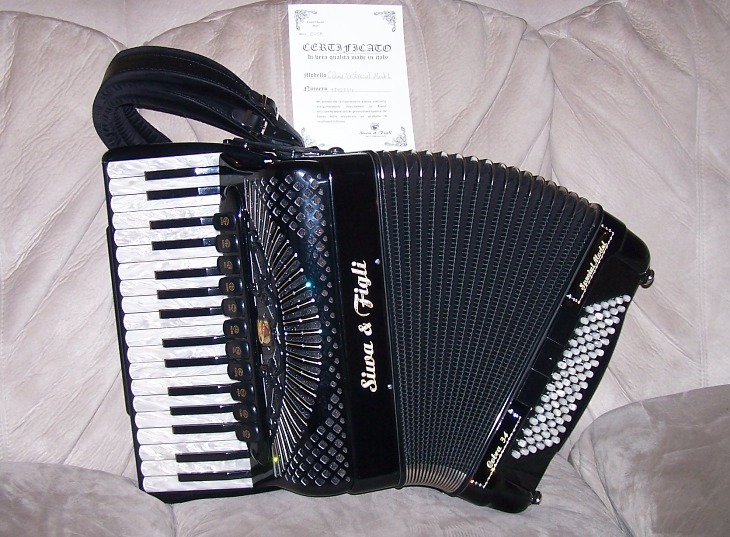 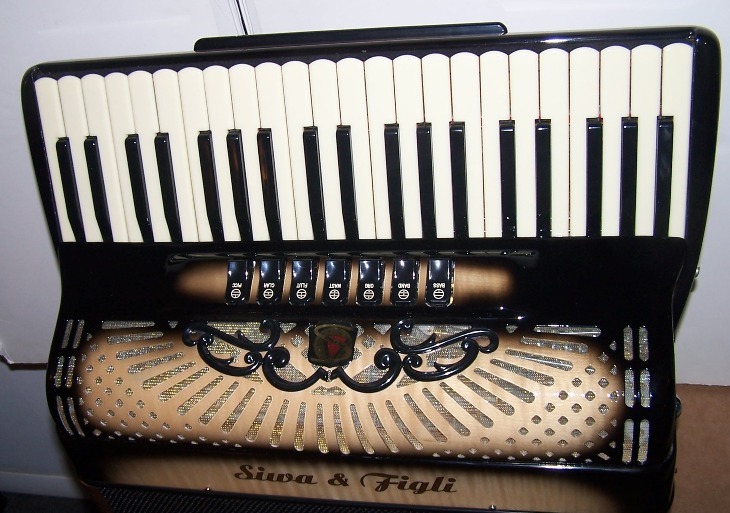 Every accordion is tuned to perfection and you will be amazed to experience the subtle overtones excited in the treble section as you play the bass and vice versa. 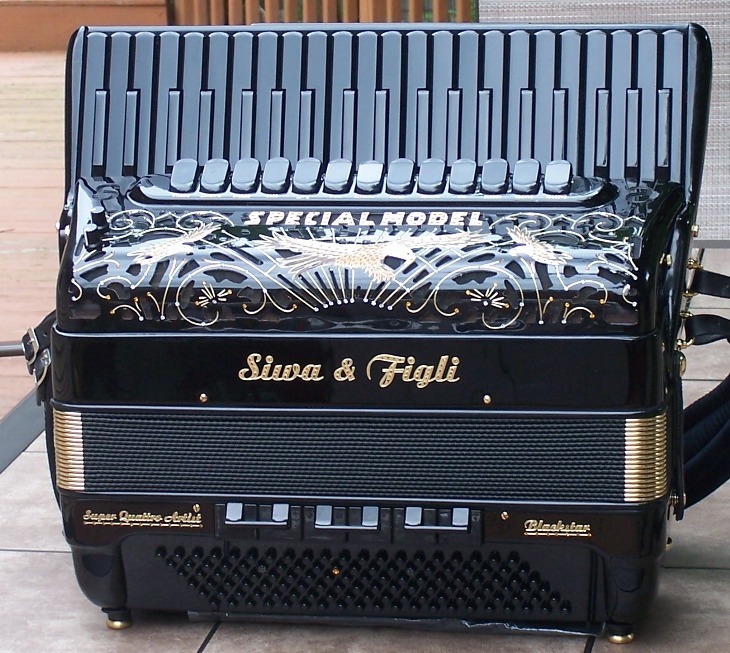 Available with two grills. 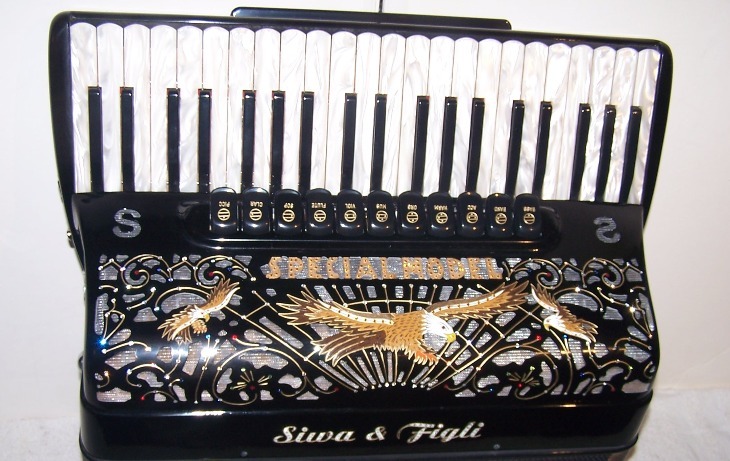 Could be ordered with your name engraved on the "Eagle" grill. 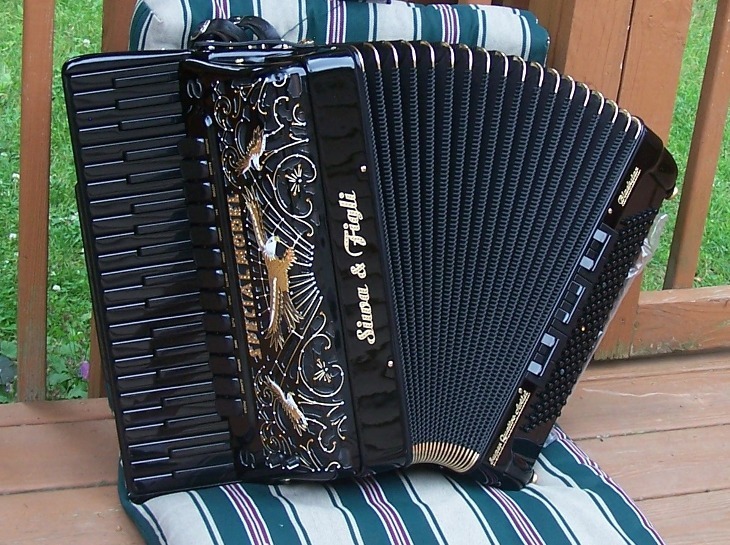 as well with the "Eagle" grill design. 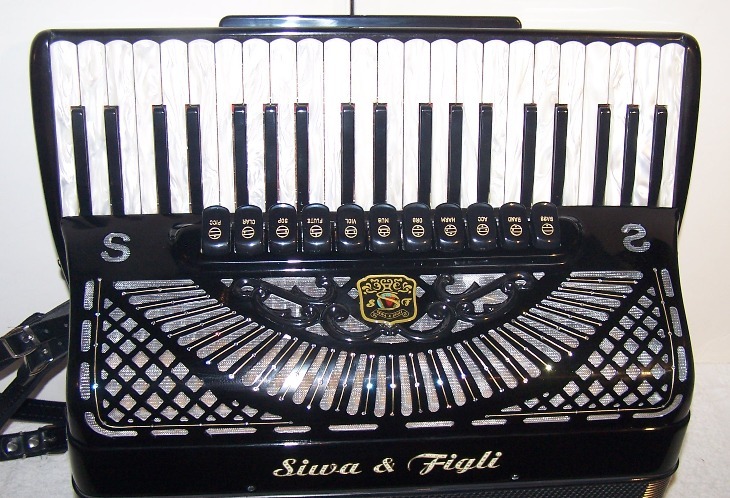 Custom-ordered - please, allow 8 months for delivery. 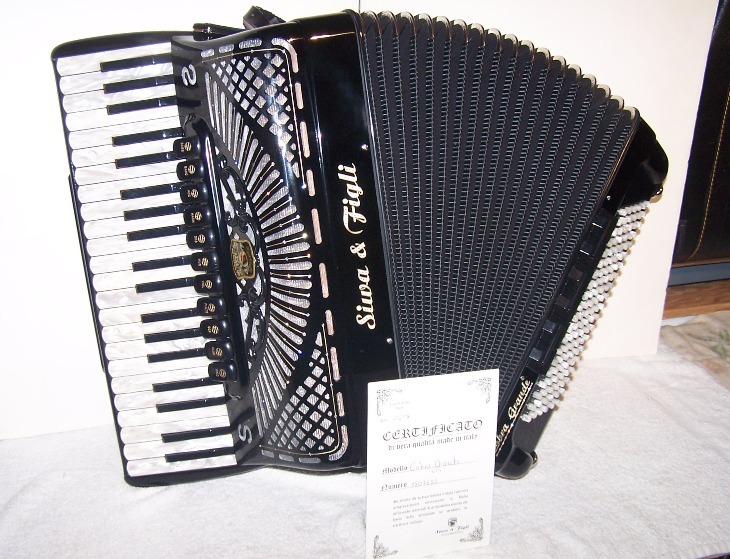 Last one in stock - special price of $4500. 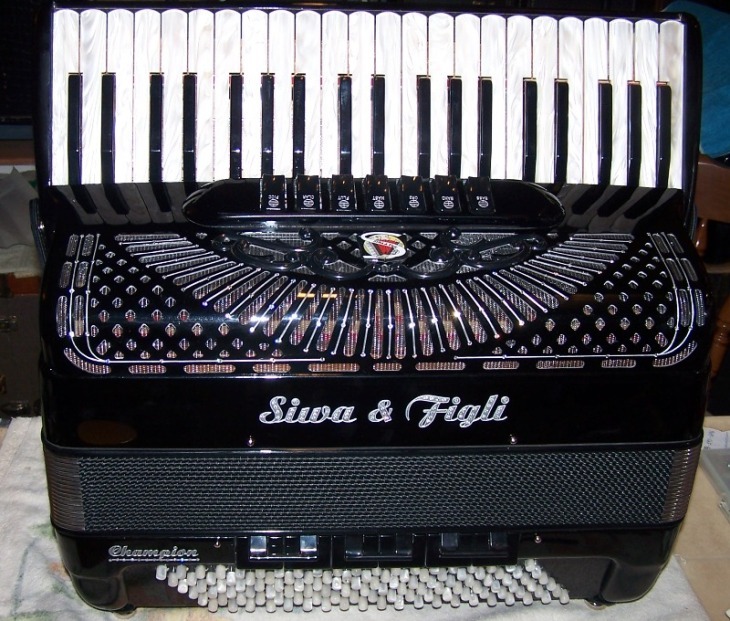 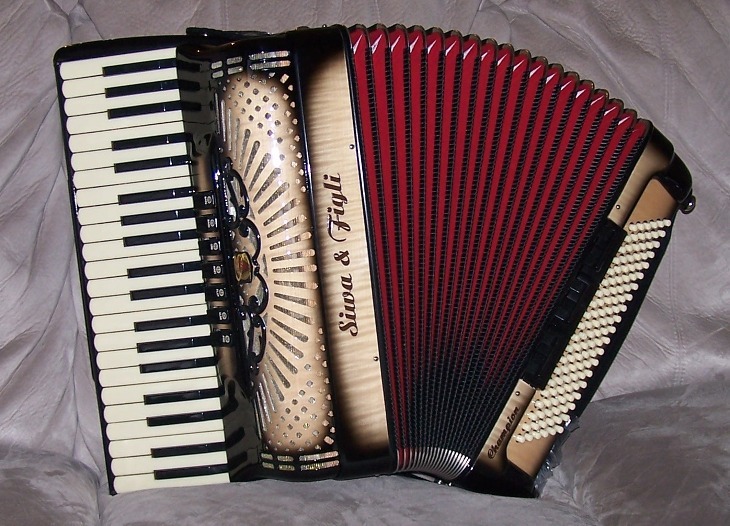 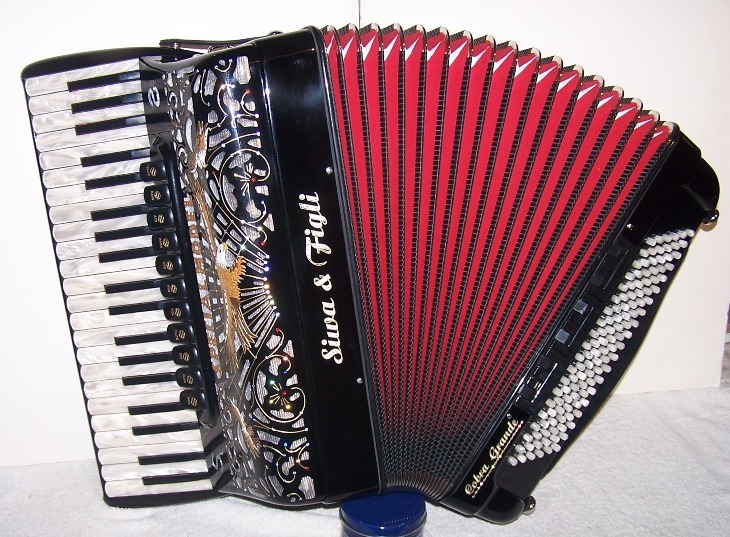 These new Siwa & Figli accordions are available for immediate purchase. 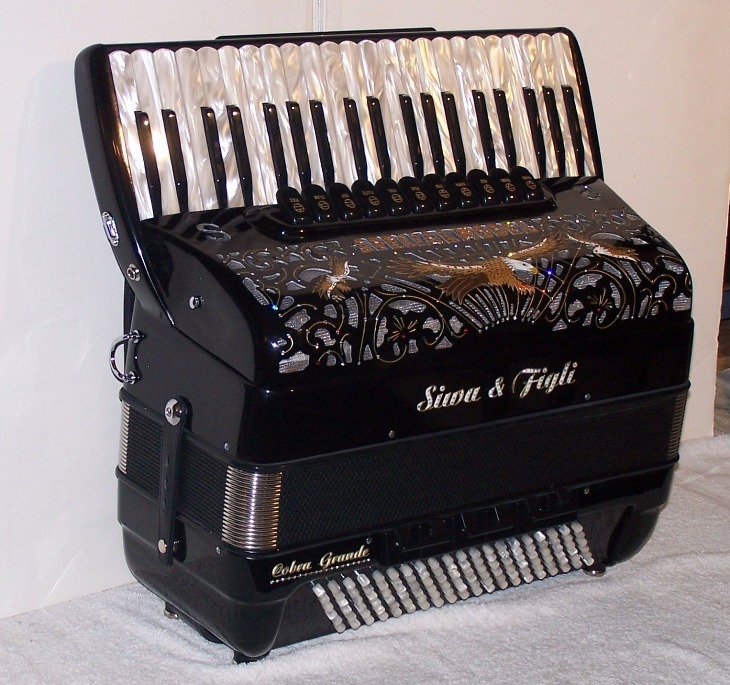 You can try them in our showroom in Landing, NJ. 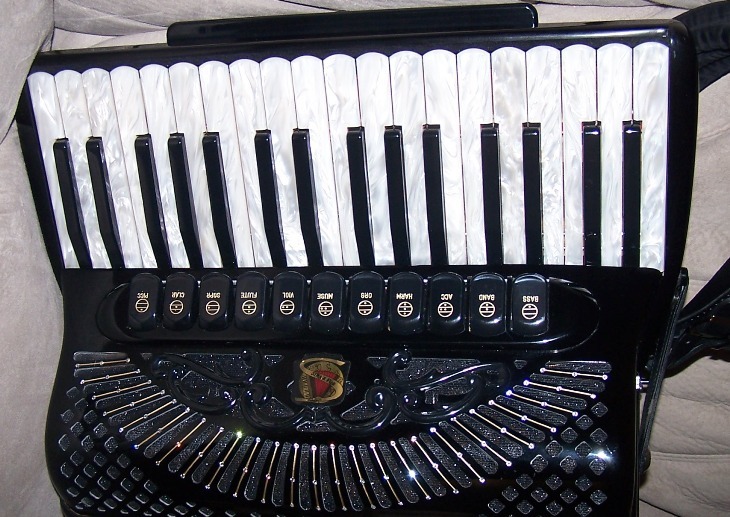 If you have special requirements we will be happy to discuss them with you and help you design your own custom made accordion.